Vera&John, an online gaming operator, has recently announced its temporary suspension of its Bitcoin payment solution offered on its website until a regulatory framework has been found. After talks with the Malta Lotteries and Gaming Authority (LGA), the operator of the first regulated and licensed Internet casino to accept Bitcoin payments has decided to discontinue processing the online currency for the meantime after the successive blows Bitcoin currently suffers from. “Vera&John continuously challenges the status quo to find better ways to deliver a truly innovative, unique, and bespoke product to our players,” said Vera&John Director Nicolas Lund, reiterating the reacceptance of the virtual currency once a regulatory infrastructure has been established. 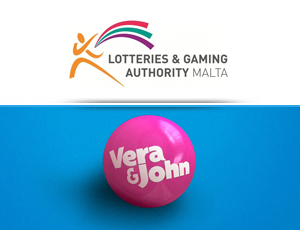 The online gaming operator is in constant discussions with the LGA and the Malta Financial Services Authority to find solutions for the matter. Meanwhile, the non-Bitcoin related gambling services offered by online casino will continue to function. Vera&John made a bold move in January of this year when it announced that it will begin accepting payments through the popular digital currency Bitcoin. By partnering with a third party provider, the online casino has enabled players to exchange bitcoins into regulated currencies, which are added to their Vera&John account later on. However, the recent collapse of Mt. Gox, the largest Bitcoin exchange, has taken a toll on the security of the online digital currency. Moreover, the value of Bitcoin in the market continues to fluctuate and shows a downward trend, raising concerns among users worldwide, including establishments, retailers, and online gambling sites. For now, Bitcoin bettors may need to find a new venue to wager on casino games until Vera&John reopens its doors to the virtual currency.